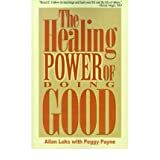 Allan Luks is considered among the top experts on volunteerism, and how helping others can benefit one's emotions and physical health. For four decades he has directed well-known organizations dedicated to helping others. He initiated and led the passage of laws that have had a significant impact on society, and authored several books that garnered praise and recognition from readers and the media alike. While there are 19,000 nonprofit institutions in New York City, Allan Luks was named "the Nonprofit Leader of the Year" by Crain's New York Business Magazine. After graduation from Georgetown University Law School, Allan became a volunteer in the Peace Corps in Venezuela. In their program for lawyers, he established an ombudsmen's office for the city of Maracay. 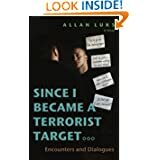 On his return to the U.S., Luks went on to become a community action lawyer in East Harlem for the Children’s Aid Society. This experience led him to become an Associate Director for a $2 billion inner-city investment fund, created by the life insurance industry—the largest such private fund. He later became an executive officer for the New York office of RAND, one of the nation's best-known think tanks. For more than two decades, Allan has led major nonprofit institutions, receiving significant national and international recognition. 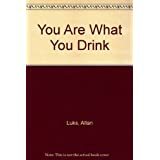 He worked with the Alcoholism Council of New York, followed by The Institute for the Advancement of Health—focusing on how the mind affects the body, including the benefits experienced by helping others. In 1990, Allan became the Executive Director for Big Brothers Big Sisters of New York City, the oldest and largest mentoring organization. Recently, Allan established the Center for Nonprofit Leadership at Fordham University, the first center sponsored by both a graduate school of business and graduate school of social service. The Center is the brainchild of Allan Luks, who also serves as its director. It is an intensive and comprehensive program that offers top-notch executive education for leaders and leaders-to-be of nonprofit groups. Allan initiated and led the campaigns for the successful adoption of three laws, one of which saves lives, another that saves jobs every day, and one that protects children. • The requirement to post warning posters in New York City bars and restaurants about the risks of birth defects from drinking while pregnant. Passed in 1983, it led to the federal law on all alcoholic beverage bottles and cans. 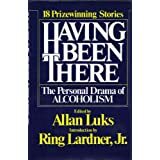 • Pioneered the research that led to the adoption of the New York City law that prevents discrimination against recovered alcoholics in employment and other areas. • Organized and guided more than 140 New York organizations to obtain passage of the Safe Mentoring Act, the first such law in the nation, that became effective in April, 2007. 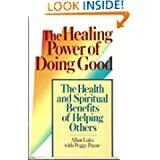 • “The Healing Power of Doing Good”—recognized for influencing the way the nation’s volunteers are recruited and motivated, by emphasizing the health and stress reduction benefits experienced from helping others. • The national Lewis Hine Leadership Award for his work helping families and children. • NY1 News named him ‘New Yorker of the Week’ in a special profile aired on TV. • Crain’s New York Business selected him as ‘Nonprofit Leader of the Year’. • Big Brothers Big Sisters of New York City established the annual Allan Luks Award for Public Policy. • Visiting Professor, Fordham University Graduate School of Social Service. • The Marty Mann award for communicating about addiction.